Fly Utopia! dealt with the hope that lies beneath the infinite potential of possibilities in the era of media technology, but was also concerned with the hopelessness of a completely technologised and dis-cultured society, which is dominated by the unlimited claim and use of power. 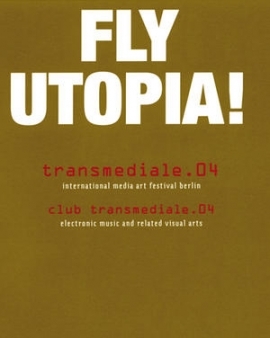 Reality and artistic visions cannot be distinguished in utopian and dystopian pictures anymore: Fly Utopia! demanded to overcome pessimism and rediscover today’s utopian potential. The conference investigated the failed and remaining utopias of the past simultaneously exploring the potential of today’s utopias in artistic, political and scientific contexts. In the exhibition works, created through various artistic practices, presented visions of a better future as well as portrayed the loss or failure of social dystopias from the past. Fly Utopia! beschäftigte sich zum Einen mit dem hoffnungsvollen Versprechen der unendlichen Möglichkeiten des Medienzeitalters und zum Anderen mit der unvermeidbaren Hoffnungslosigkeit der technologisierten, entkulturalisierten Gesellschaft, zerrissen durch Machtansprüche und globale Konflikte. 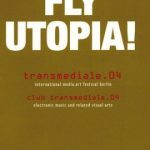 Die Grenzen zwischen erträumter Utopie und realer Dystopie verwischen, werden unkenntlich: Fly Utopia! rief daher dazu auf, den vorhanden Pessimismus zu überwinden und das utopische Potenzial der heutigen Zeit wiederzuentdecken.